Since your church's Booking module bookings (past, present and future) are always linked to a Booking Type, deleting a Booking Type would delete all bookings associated with that Type. 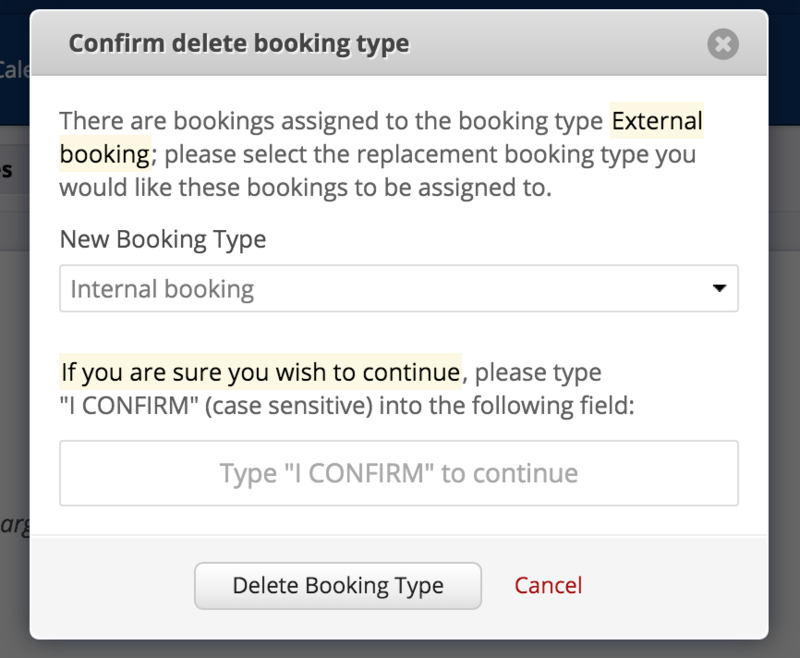 To avoid loss of data when deleting a Booking Type, the user is prompted to select (or create) an alternative Booking Type for associated bookings to be reassigned to - perhaps an "Archived Bookings" Type. A series of warnings prevent accidental deletion of Booking Types without reassignment of associated bookings. Importantly, you must create the alternative Type before running the "Delete booking type" process; since you are required to select the alternative Type from the above drop-down list. Once you have confirmed, click "Delete Booking Type". ChurchSuite will re-assign all associated bookings (and linked data) to the new Type before finally deleting the old Booking Type. As an alternative to deleting Booking Types, you may prefer to simply "Archive" your Booking Type. Simply select "Archive type" in the top-right corner or the Type page.